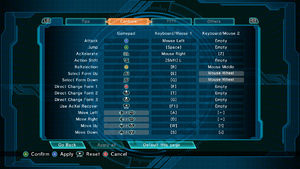 Some settings are accessible from the main menu while others are found within the game's pause menu; both option menus are located from the in-game hub. Because of controller support implementation, especially with XInput controllers, users might have issues using a controller. See Input settings. DRM-free version is currently available for Mac OS X and Linux; Windows version requires Steam DRM while the DRM-free version is only available to certain Kickstarter backers. Adds a new stage for Beck (Vermilion Destroyer), and upon clearing said stage unlocks Ray as a playable character. Available here. Adds a retro-inspired skin for Beck and an additional difficulty level (Maniac). Available here. Gives Beck the Mega Xel form to use in-game. Exclusive to Kickstarter backers. Adds a golden colored skin for Beck. Exclusive to Kickstarter backers. Graphics settings under settings menu. Screen percentage is resolution scaling and only goes up to 100%. Can be toggled with Alt+↵ Enter or F11. Option available, but not working. Uses regular maximized window with aspect ratio. Use GeDoSaTo as a workaround. Option up to 2x-16x samples. FXAA on by default. Option up to 8x MSAA. FXAA can be disabled by disabling Bloom, but this will also disable features such as tone mapping and motion blur. Nvidia users can also force other methods here. Frame rate is capped at 62 FPS. See High frame rate. Save file and set it to read only. General settings under General Options. 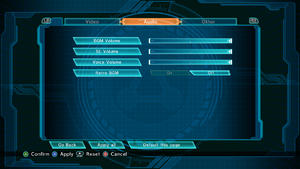 General settings under Game Options. Controller and key rebinding under Game Options. Found under Game Options in pause menu or in-game hub. Allows full remapping of keyboard/mouse and controllers. Press Esc during the rebinding process to unbind keys. Mouse movement not at all. XInput and DirectInput. Hooks into one of the controllers available and doesn't take any inputs from the rest. See controller not working. With DirectInput controllers, D-pad and analog sticks might not be useable. DirectInput controllers most likely require calibration, which requires keyboard. 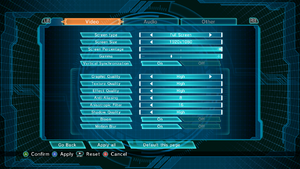 Both calibration in General Options and button rebinding in Game Options. D-pad and analog sticks cannot be rebound. Xbox 360 prompts are always shown. Audio settings under settings menu. Music, sound effects, and voice. Multiplayer requires Steam version of the game. Game hooks into one of the devices identifying itself as controller and ignores the rest. This means that usually especially XInput compatible controllers might get ignored. Open windows controller config by pressing ⊞ Win+R and typing joy.cpl. Unplug or disable all the devices that are shown on the list besides used controller. From Advanced, select your controller to be the primary one. 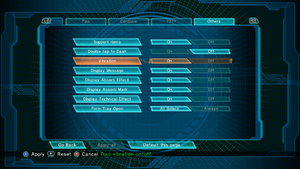 If using a DirectInput controller, calibrate the controller from the General Settings menu. Confirm is bound to Button 1 by default. For majority this seems to be MSAA setting related. Change first instance of bAllowD3D9MSAA from true to false. Save the changes and start the game. MSAA can't be used and changing the option in-game will make it crash. Game uses 32-bit executable, 64-bit executable is included with the game but has to be manually started. Managed to hack borderless fullscreen by creating a GeDoSaTo profile for the game. Seems to also work on the 64-bit version. "Can I play multiplayer in the DRM-free versions? 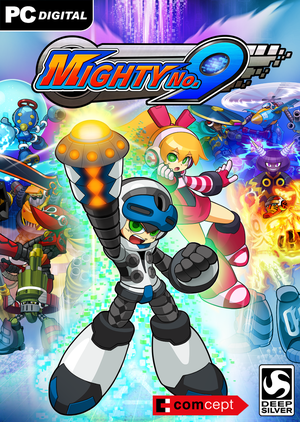 The DRM-Free versions of Mighty No 9 do not have multiplayer capability at this time." ↑ Mighty No. 9 on Twitter: "@LuigiBlood Sadly, no. Offline co-op would require some zoom-out/splitscreen feature we don't have in the current plan (for cost reasons)"